I know how you’re almost too excited about the November 2 movie release, Bee Movie, but you’re just going to have to sit on your hands expectantly & wait until next month. 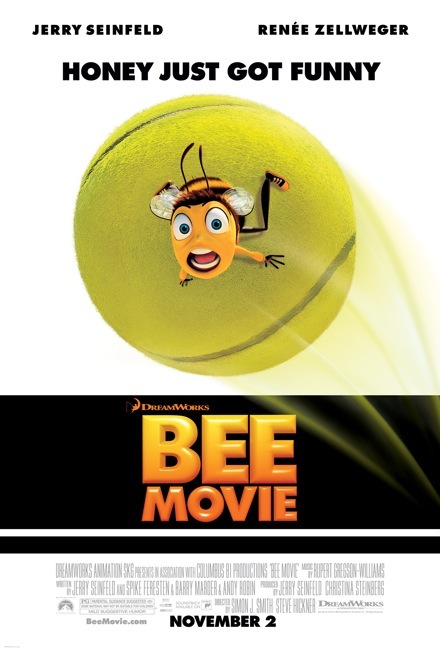 But I do at least have a little treat for you all the same, as a new Bee Movie poster has finally been revealed. Pretty hot, right? Jerry Seinfeld’s new Dreamworks film is leaving a lot to be desired, if you ask me. I mean, “Honey just got funny”!!!? Is that even a stab at humor? Or was that more of a lazy attempt? I think I’m going to have to go with the latter.